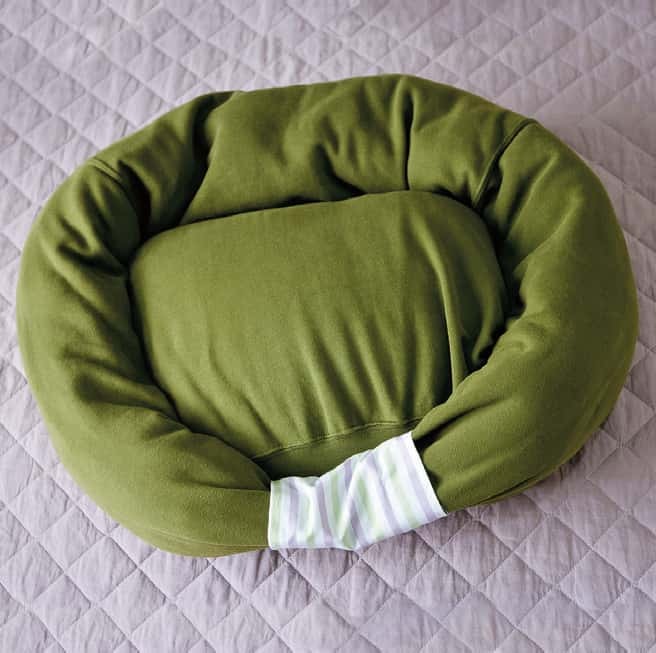 An excellent way to re-purpose a sweatshirt and make your pet a comfortable new bed. 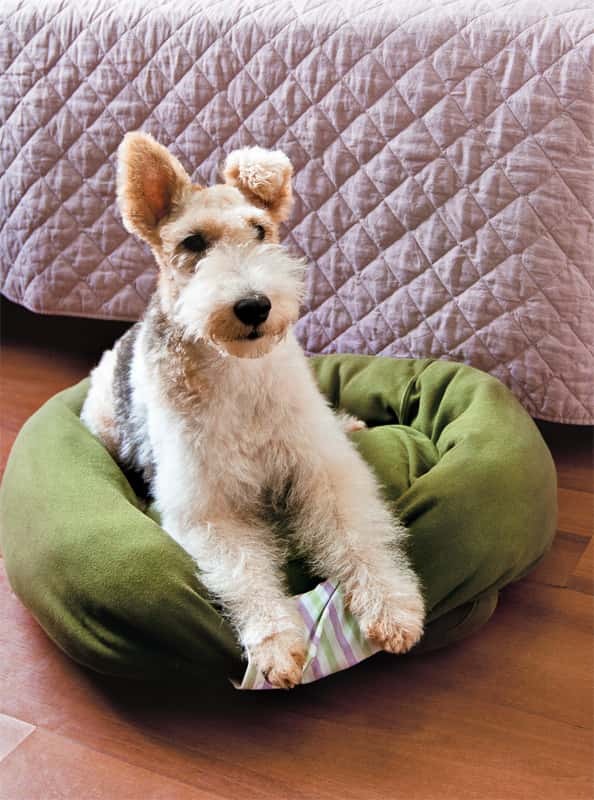 This DIY Sweatshirt Pet Bed is quite simple to do but you will need some sewing skills. Extra fabric for closing the sleeves. 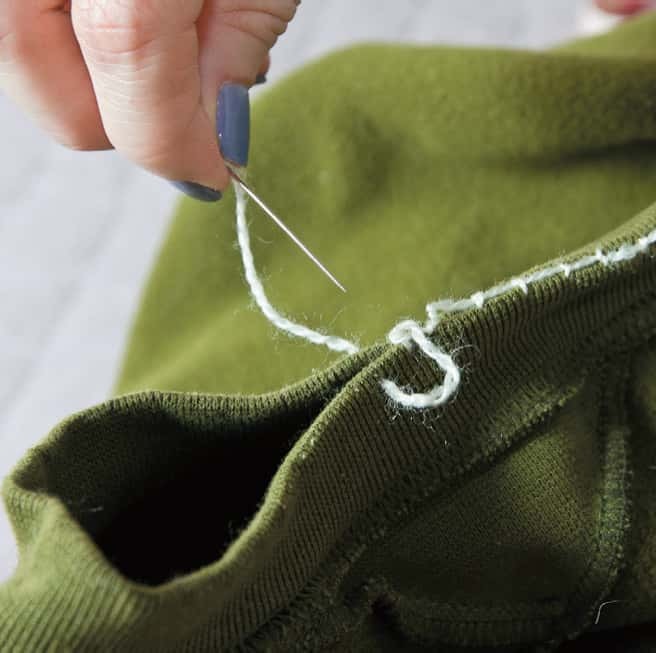 ^Sew the edges of the collar together being sure to leave a small space open. 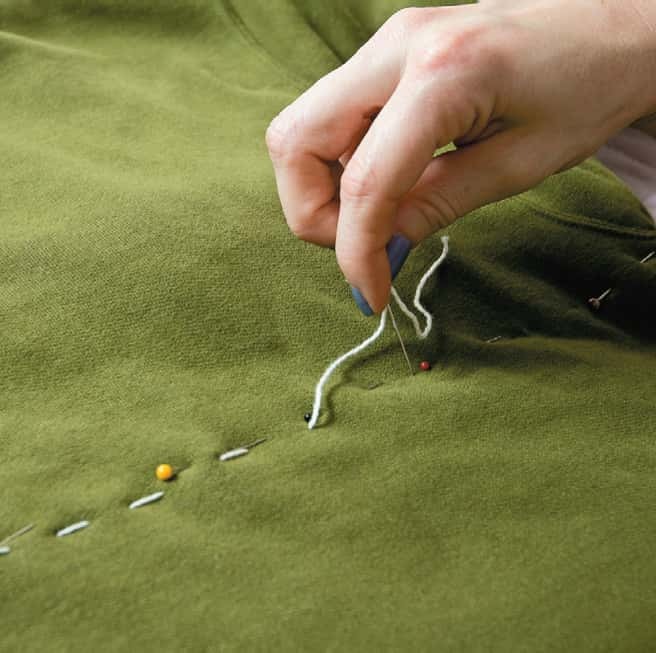 You can use a sewing machine or you can sew it by hand it's up to you. ^ Mark out a line from the bottom of one armpit to the the other. You can do this using pins or fabric chalk. Then sew along the line. 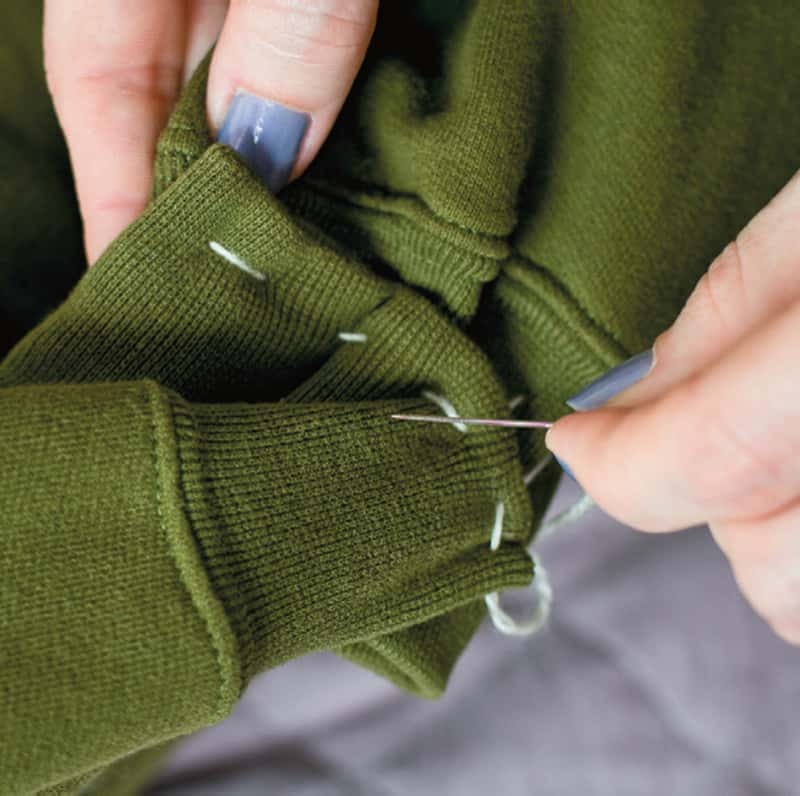 Sew through both the front and back of the sweater. ^ Put the sleeves next to the body of the sweater as shown. Sew them in place being sure to leave the cuffs un sewn. 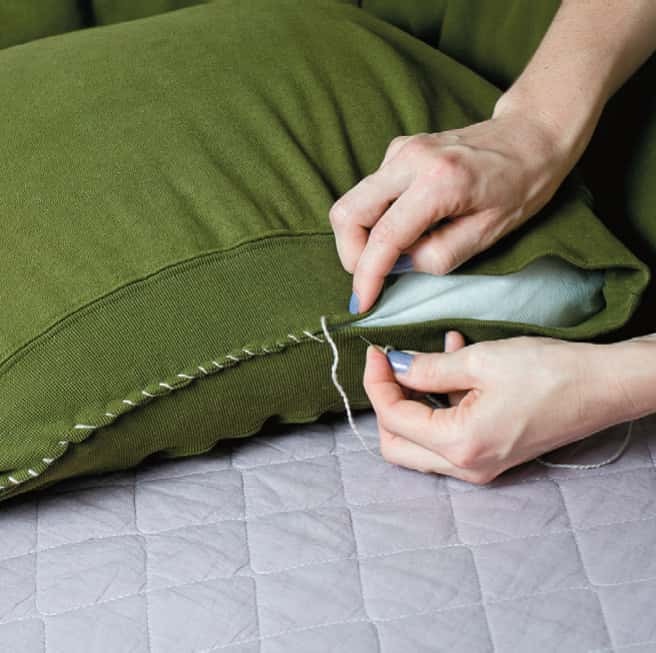 ^ Fill the sleeves with cushion stuffing or rags. 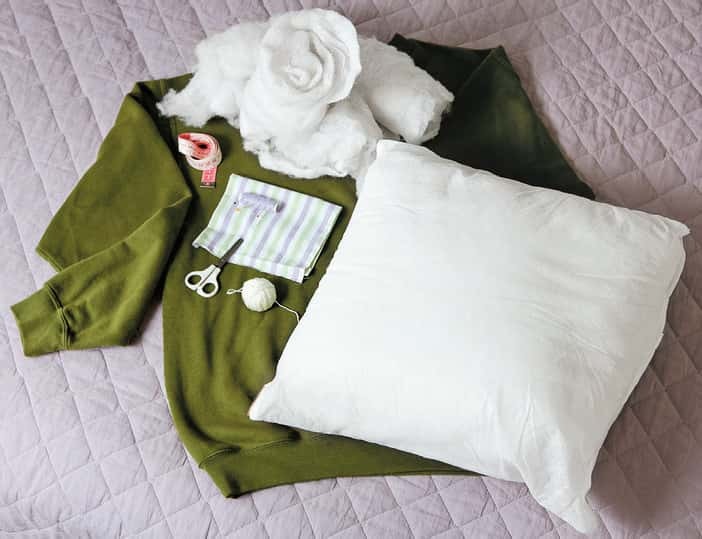 ^Put the cushion filling inside the body of the sweater. You can use an old cushion that you don't want any more if you prefer to recycle. 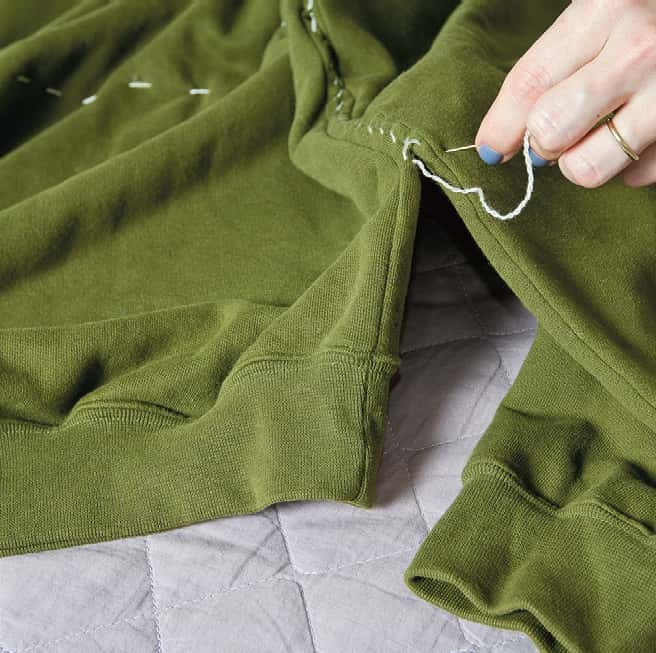 ^Sew the bottom of the sweater closed. 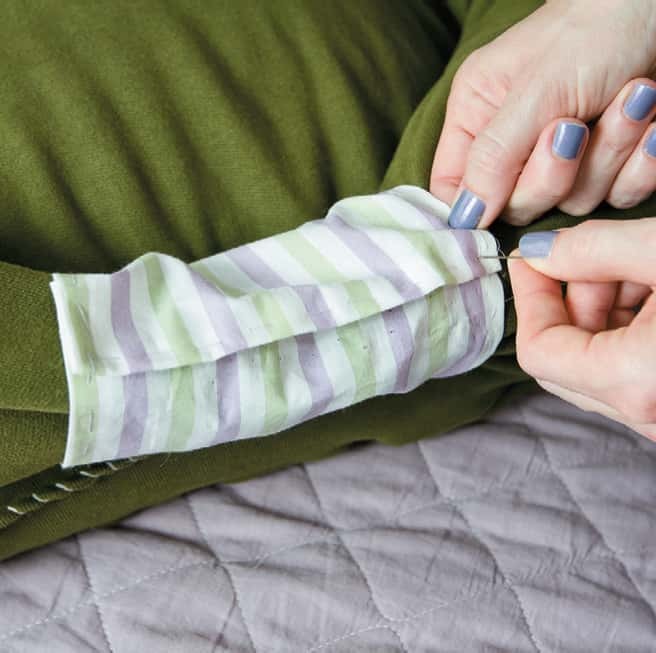 ^Use an extra piece of fabric to reinforce the sleeve ends and make the join look neater. ^Look you made a pet bed! !